Miss Brown earned her degree in secretarial arts from Hyles Anderson College. She has been at HHCS for 5 years. Her favorite verses are Psalm 139: 17-18, 23-24. In her spare time she likes to write, play games, and watch movies. The Lord is teaching her to be patient and to wait on the Lord. Mrs. Chavez earned an associates degree in business administration. This is her first year at HHCS. Her favorite verse is Nehemiah 8:10c. The Lord is teaching her to be grateful and rejoice for what she has everyday. Her favorite quote is "Be yourself; everyone else is already taken." Mrs. Chavez and her husband, Cergio, have 3 children. ​Fun Fact: Mrs. Chavez can speak 2 languages! 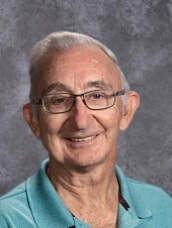 Mr. Flick has been at HHCS for 41 years. His favorite verses are 3 John 1-4. In his spare time he enjoys playing golf, riding bikes and magic. The Lord has taught him to "wait, wait, wait". His favorite quote is "Do the best you can, with what you got." He and his wife, Sherrill, have two children and five grandchildren. This is Miss Gunther's first year at HHCS. Her favorite verse is Philippians 4:13, "I can do all things through Christ who strengtheneth me." In her spare time she likes to write, draw, and travel. The Lord has taught her is to rely on His strength and promises and that all things will work together for good. 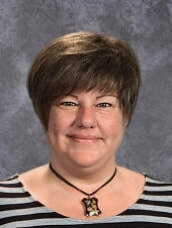 Miss Hunt earned a bachelor's degree from Pillsbury Baptist Bible College, a bachelor's degree from Mankato State College, and a master's degree from Ball State University. She has been at HHCS for 38 years (non-consecutive). Her favorite verse is Job 36:4b. In her spare time she likes to read and quilt she is currently working on scanning family photos. The Lord has taught her last winter and spring during her physical trial to realize how important it is to know and memorize God's Word. The weeks of relying on someone taking care of her made her more considerate and accommodating. "Life is fragile and God is in control." Her favorite quote is “Gratitude shows your attitude” by Neil Cadwell. Mrs. Miller earned her associates degree in Christian leadership from Bob Jones University. She has been at HHCS for 9 years. Her favorite verses are Proverbs 3:5-6. In her spare time she enjoys antiquing, traveling, spending time with family and friends, event planning & decorating, and serving with her husband in the ministry. The Lord is teaching her to trust God each day for all things, to not live life following her own ways, but to follow God's will. He will guide and bless because of that. Mrs. Miller is married to Brent, assistant pastor at Grace Baptist Church. ​Fun Fact: Mrs. Miller was born and raised in Alaska. 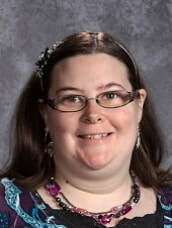 Miss Phillips earned an associate's degree in office technology from Maranatha Baptist University. She has been at HHCS for 3 years. 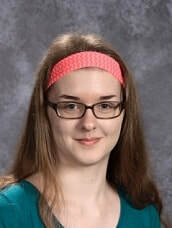 In her spare time she enjoys reading and spending time with her family and friends. During her years at Maranatha, the Lord taught her to wait patiently on Him and to trust Him through any and all situations in life. Fun Fact: She is the youngest girl of 3 in her family. She always wanted a brother and when she was 12 God gave her that brother! Ms Warfel is in her 2nd year at HHCS. Her favorite verse are Proverbs 3:5. In her spare time she likes to read, swim, and play with her grandkids. The Lord is teaching her patience. Ms Warfel has one child and four granchildren. Fun Fact: Ms Warfel loves to ride horses. 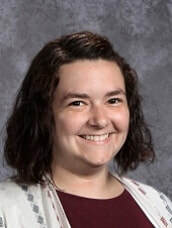 Mrs. Winebarger earned a bachelor of science degree in elementary education with a minor in secondary education and a minor in English from Tennessee Temple University. She has been at HHCS for 23 years. Her favorite verse is Isaiah 26:3. In her spare time she enjoys reading. The Lord has taught her that He will always enable her with His strength to do whatever He asks her to do. Her favorite quote is " God's will will never take us where grace cannot keep us." Mrs. Winebarger and her husband, Bob, have two children and four grandchildren with a fifth due in Feb of 2018.